Criminal law is the body of law that relates to crime. It regulates social conduct and proscribes whatever is threatening, harmful, or otherwise endangering to the property, health, safety, and moral welfare of people. It includes the punishment of people who violate these laws. 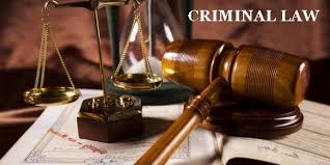 Criminal law varies according to jurisdiction, and differs from civil law, where emphasis is more on dispute resolution and victim compensation than on punishment.